It might have lost its lure with consumers, but most will still remember the great deals and promotions to be had on Groupon back in the day. Well, the good news is that Groupon is still alive and kicking, and it’s just relaunched itself to take on the Yellow Pages. 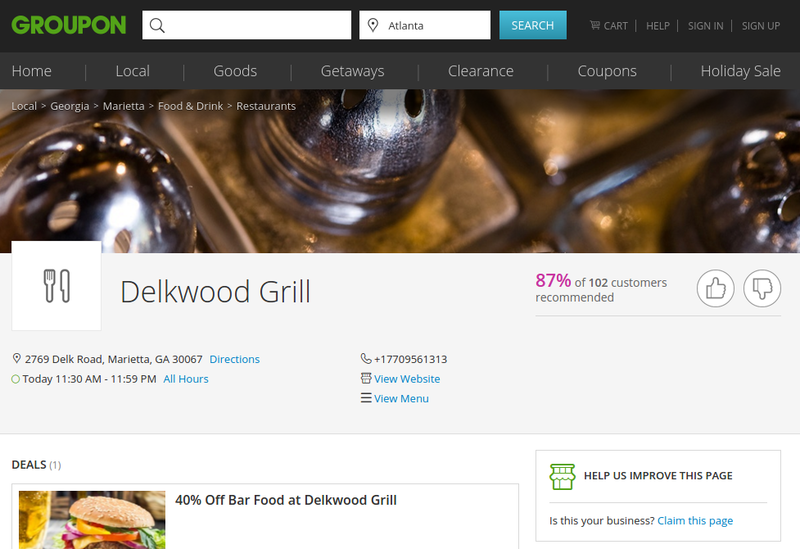 Check out this Delkwood Grill listing on Groupon to see exactly what we mean. Alongside the comprehensive business listing you’ll find a bunch of great deal-a-day coupons offering steep discounts at the above listing. Which means you not only find what you need, but you can also enjoy big savings when you go there too.